Visitors heading here will find a country that is as complex, colourful and deeply traditional as the Persian carpets for which it is renowned. History lovers are spoiled for choice when it comes to incredibly preserved archaeological sites (including the ancient city of Persepolis), while the photogenic beauty of classic Persian architecture – usually covered with those famous blue tiles – will please anyone with an eye for design. Plus, outdoor enthusiasts have a surfeit of mountains to climb and ski, desert landscapes to explore and scenic valleys to trek. All this, combined with ultra-welcoming locals, a refined and delicious cuisine (succulent grilled kebabs, flavourful stews) and an ancient culture steeped in poetry, music and art, mean that Iran is a destination as rewarding as it is revelatory. British nationals need a visa to travel to Iran. 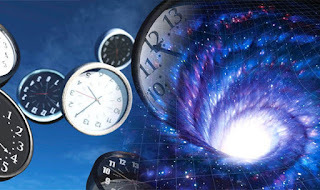 The process can be notoriously long and frustrating, so you should apply well in advance of your planned travel dates. There are also reports of difficulties securing visas through private visa agencies. The Iranian embassy in London has commenced a visa service. 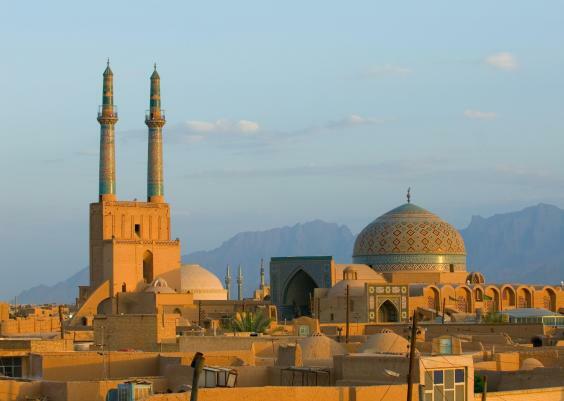 FCO advice warns against all travel to certain parts of Iran. The FCO also claims the risks to tourists in Iran are higher for those travelling independently than for those travelling as part of an organised tour. £1 is currently worth 40,857 Iranian rials (IR), while US$1 is worth 31,200 rials. 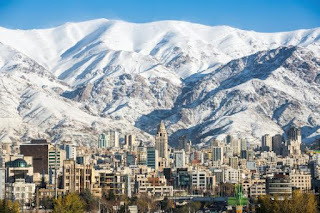 Situated on the lower slopes of the Alborz Mountains, their snow-tipped peaks providing a dramatic backdrop in winter, Tehran should present a pretty picture. However, gridlocked traffic and heavy air pollution are everyday realities in this modern metropolis. The noisy streets of central and southern Tehran, where visitors will spend most of their time, are crowded with shoppers, office workers and students and crackle with energy. The city’s northern suburbs aren’t as frenetic. Though largely residential, they also have upmarket retail strips where affluent locals come to shop, dine and drink coffee in stylish boutiques, restaurants and cafés. Most visitors forgive Tehran’s aesthetic shortcomings when confronted by the wealth of treasures displayed in the city’s museums. Start by admiring the archaeological artefacts in the National Museum of Iran (Imam Khomeini Avenue; 200,000 rials), which include exquisite inscriptions and friezes from Persepolis; then head to the Treasury of National Jewels (200,000 rials) to ogle its simply extraordinary collection of jewellery made by Persian artisans and acquired by the Safavid shahs. The treasury’s best-known exhibit is the Peacock (Naderi) Throne, encrusted with 26,733 gems. Those who crave more culture can also visit the Golestan Palace (golestanpalace.ir; 150,000 rials) with its formal garden, dazzling Hall of Mirrors and art gallery filled with portraits of Qajar rulers. Those keen to see a more exotic Iran than that offered by Tehran's traffic-clogged roads should head for the atmopsheric bazaars of some of the country's most historically significant cities. 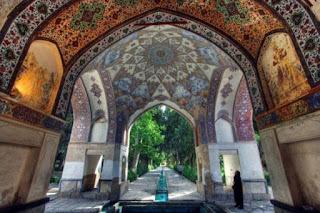 Tabriz, a former capital, has the most famous. Its sprawling, labyrinthine bazaar – a Unesco World Heritage Site dating back 1,000 years – is replete with ornate, dimly lit timchehs (halls) that immerse you in an almost mystical, back-in-time feel. 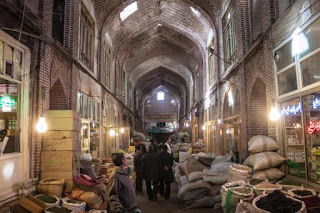 South of Tehran, Isfahan’s Bazar-e Bozorg is just as old, and has welcoming teahouses in spades. Its location between Naqsh-e Jahan Square and the Masjed-e Jameh, two of the city’s major attractions, is also supremely convenient. Tehran’s bazaar is more modern (it’s a mere two centuries old) but is just as maze-like and full of temptations. Home to the largest concentration of Shia Muslims in the world, Iran has many important religious shrines and pilgrimage sites. Crowded with pious worshippers – usually in family groups – these are wonderful places to observe the importance of religion in day-to-day Iranian life. They can also demystify this culture for many Westerners, being places where worshippers are just as likely to be exuberant and joyful as they are quietly contemplative. The most significant and beautiful of these is the massive Haram-e Razavi (Holy Shrine of Imam Reza) in the north-eastern city of Mashhad, where gold-covered domes and tapering minarets seem to float above the compound's profusion of courtyards, mosques and museums. Shia pilgrims from across the globe come here to visit the shrine of the only Shia Imam to be buried in Iran. In the south of the country, the Aramgah-e Shah-e Cheragh (Mausoleum of the King of the Light) in Shiraz is nearly as holy. 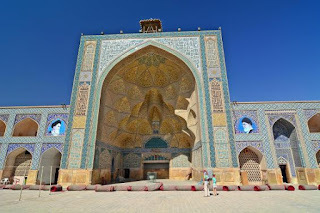 Its bulbous turquoise-tiled dome, gold-topped minarets and mirrored interior are wonderful examples of late Qajar period architecture. 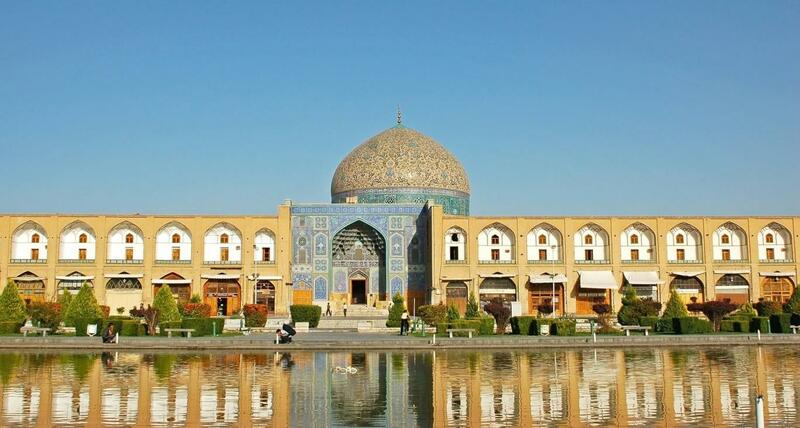 There are 21 Iranian sites and landscapes on Unesco’s World Heritage List, and many first-time visitors to the country end up devising their itineraries around visits to the big-hitters. Don’t miss Persepolis, the majestic former capital of the Achaemenid empire (200,000 rials, plus extra charge for museum). 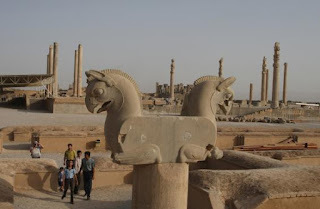 It’s an extraordinary showcase of grandiose Achaemenid construction, including staircases featuring exquisite carved reliefs, majestic gateways topped with statues, and the remains of palaces that once housed magnificent columned halls. The desert fortress of Bam, recently rebuilt after a devastating earthquake in 2003, was once a thriving trading post on the legendary Silk Route. This mud-brick citadel has massive ramparts, ornately decorated towers and monumental gateways aplenty. Another must-do is the postcard-perfect Naqsh-e Jana (Imam) Square and the Masjed-e Jameh (Jameh Mosque) in Isfahan. The latter, the largest mosque in Iran, comprises a series of elaborateiwans (open prayer halls) clad in exquisite blue and gold tiles. Finally, formal Persian gardens, such as the Bagh-e Fin in Kashan (Amir Kabir Rd; 150,000 rials) – an oasis featuring a series of turquoise-coloured pools and fountains, richly decorated pavilions and a profusion of orange trees – also deserve a place on your list. More than half of Iran is covered by mountains, so skiing and mountaineering are popular pastimes. Head to Mount Damavand and Mount Sabalan in the Alborz Mountains to climb in summer, and to Dizin in the Alborz Mountains or Sepidan or Chegard in the Zagros Mountains to ski in winter. In good weather, trekking through the Alamut area in the Alborz Mountains is hugely enjoyable. Desert trekking should only be done with an experienced guide – when in desert areas, it’s best to explore on a 4x4 expedition or camel trek leaving from Yazd. 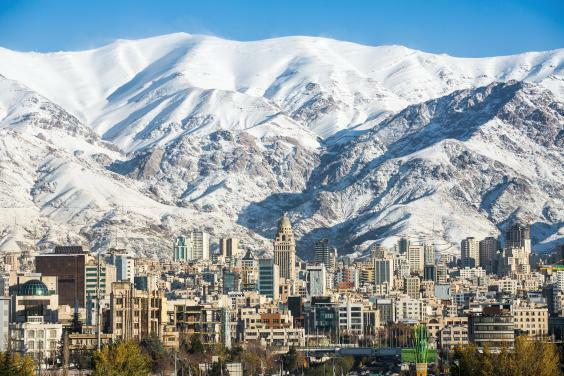 Serviceable but somewhat dowdy three-star business hotels predominate in most Iranian cities and towns, but tourists are better off opting wherever possible for the slowly growing number of boutique hotels set in historic buildings. 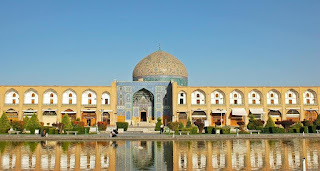 The best of these are in central Iran, such as recently opened, top-end boutique choice Saraye Ameriha Boutique Hotel (sarayeameriha.com) in Kashan, or Iran’s most famous luxury hotel, the Abbasi Hotel (abbasihotel.ir) in Isfahan, with its magnificent courtyard garden. Niayesh Boutique Hotel (niayeshhotels.com) in Shiraz, in the heart of the old quarter, has a laid-back traveller vibe. 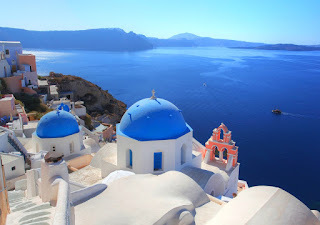 Outside the cities and towns, it’s worth considering a homestay, which will give you a true taste of local life. Imam Khomeini International Airport just outside Tehran is Iran’s major international air hub. There are also international airports in Isfahan, Shiraz and Mashhad. The country’s busiest domestic airport is Mehrabad International Airport in Tehran. Domestic bus services between cities and major towns are cheap, comfortable and frequent. The local train network is excellent but trains are less frequent and more expensive than buses – seeiranrail.net for details. Tour operators that offer itineraries to Iran include Intrepid Travel,World Expeditions, Explore and Cox & Kings.